Buying a wedding gown package? Important points to note! Most gown rentals are available at bridal salons, some of which also offer made-to-measure services. Here, a guide to navigating through them and more. Most bridal salons that specialize in renting of gowns usually offer with photography and makeup services the package as well. You can ask for packages that only offer the gown rentals. The salons are usually quite flexible and customers can ask to add or delete items from the packages, along with the corresponding price increase and decrease. - The number of gowns offered for your pre-wedding photo shoot and actual day. Ask for the sample works of the photographer and makeup artist. Note the name of the people in the crew you confirmed. Ask for pictures of the recommended locations and venues for the shoot. If it's an outdoor location, check on the alternative plan if the weather is bad. Do you have to bear the travel expenses during the shoot? Meal allowances? And what happens if the gown is damaged during the shoot? Do you have to bear the cost or are the gowns insured by the company. Is there a need to take out wedding insurance on your own? If your bridal salon is handling the portrait and album prints, ask to see a sample of the quality. Take a picture and make a note as to what was agreed upon. Check out the gowns and designs available for your package before confirming it. 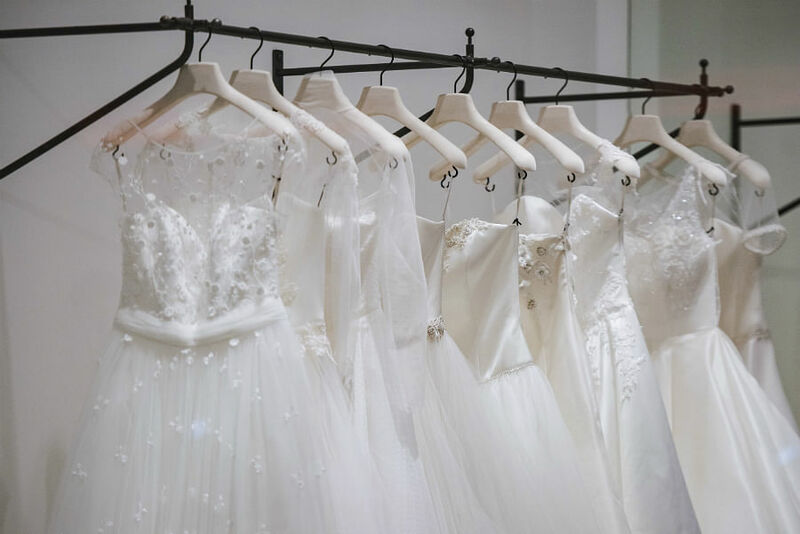 Most couples tend to book their packages at bridal shows and fairs but these events don't necessarily show the complete selection of gowns available at the salon. If there is nothing on the rack that you like, hold off confirming your package until you visit the bridal salon to see what other dresses are available. There have been instances when brides get caught out after signing a package at a bridal fair only to realize that there are no gowns from the salon they like. 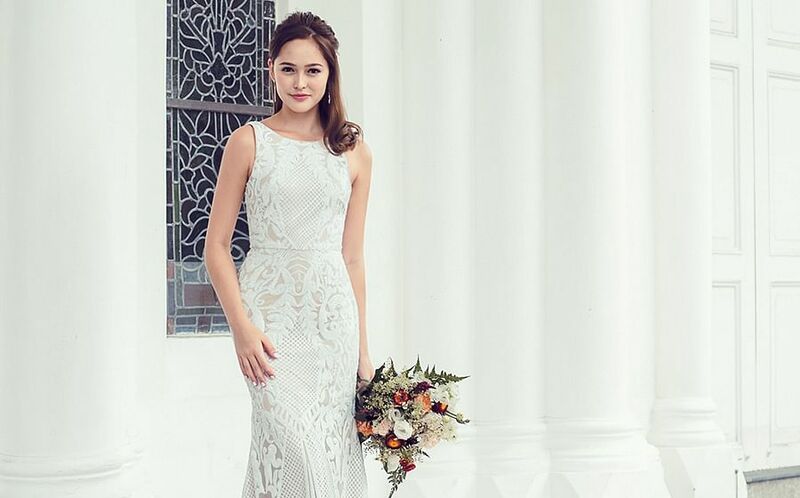 Confirm the dates for gown fittings, meet ups with the photographer and makeup trials. 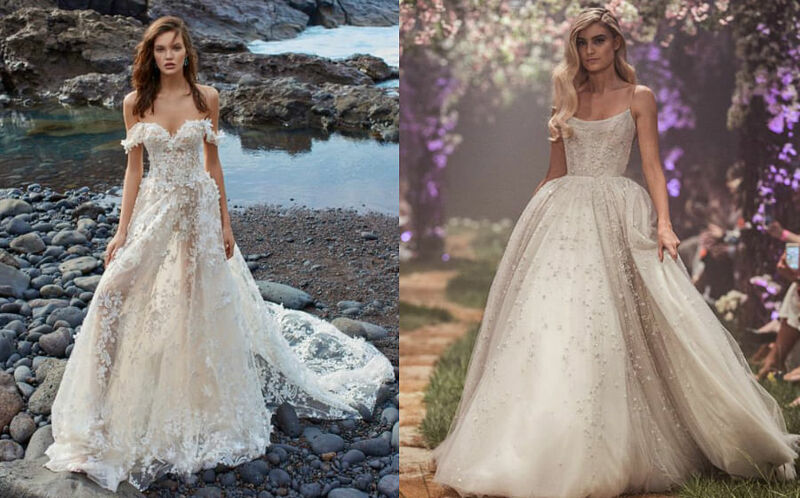 It is best to have earlier appointments in case you like to change the photographer/makeup artist or prefer to view other gowns that may be arriving on a later date. - A good timeline would be to start 6 to 8 months from your wedding day. - Don't just visit one boutique if possible and be open to trying on the different gown styles before you make your decision. - Some boutiques charge extra for alterations so you should also check about the rates. - Check the fine print on the rental timeline and conditions of minor damages or issues. - For add-ons, think about your needs and negotiate a package that will fulfil them. For example, you can try requesting to replace the groom's suits with your parents outfits if your partner is making his suit elsewhere. - If you are making a custom gown, be sure to confirm details like whether the design will be exclusive to you and that the dress will only be worn by you. Got any wedding-related questions? We're happy to help! Please drop us an e-mail at sthio@sph.com.sg should you wish to submit your queries. Please note that your queries and our responses may be featured in the magazine, or on the website. 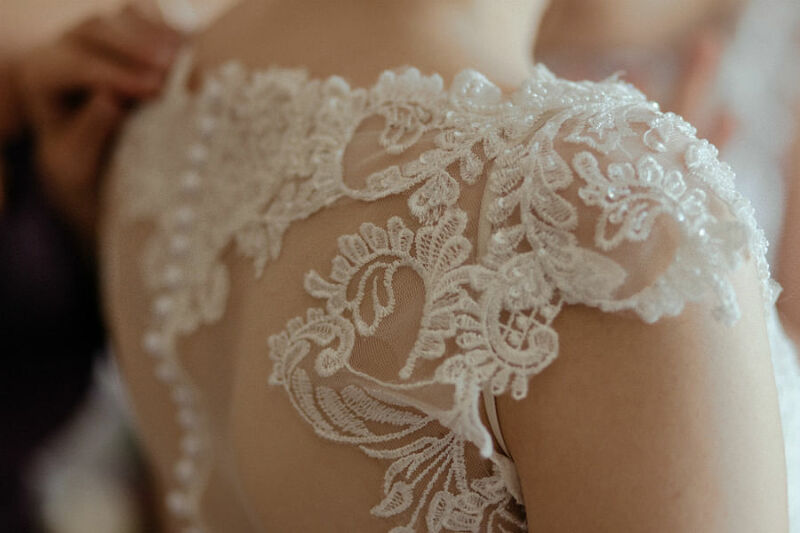 Shopping for your wedding dress?